Writer and director, born in Brussels in 1955, André Chandelle graduated in directing at the IAD. Since 1981, he has been a director at the RTBF. He is the author of numerous telefilms Mon père des jours pairs in 1998, Les hirondelles d’hiver in 1990, Maigret et la croqueuse de diamants with Bruno Cremer in 2001, of episodes of the series Septième Ciel Belgique between 2005 and 2007, of Fausse innocence and Les Poissons Marteaux in 2008. 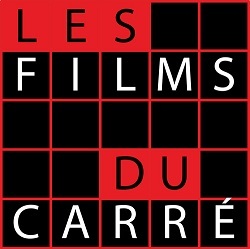 The last one won several awards at the Luchon Festival including the Best Actress and the Audience Awards, J’étais à Nuremberg in 2001, selected at the Festival of La Rochelle. He is also the writer of La révolte du portemanteau in 2007 and The Belgian Connection currently in development and he is preparing Justice Internationale, la loi du plus fort ?, a documentary in collaboration with Patrick Remacle. In 2011 he wrote and directed Petits meurtres entre amies, documentary for the channel 13é Rue and the RTBF. Between 1989 and 1997, he also produced reports for the TV shows C’est à voir and L’Hebdo and filmed many multi-camera (variety, sports, etc.) and concerts (Arno, Front 242, New order, etc).